Table manners help to make a good impression among your friends and colleagues and it is not difficult to learn them. You should allow your host to direct you to your seat as they may have a seating arrangement in mind. In a restaurant, the guest of honor will sit in the best seat at the table which is the one whose chair has the back to the wall. The host should sit to the left of the guest of honor. Other people can choose seats around the table. 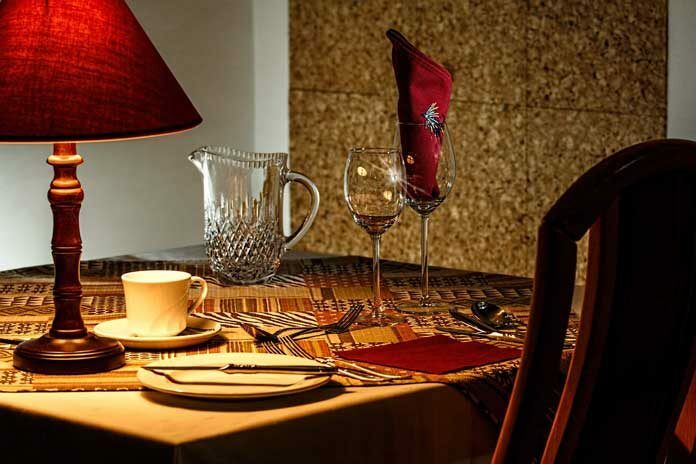 If the meal is informal, then you should place the napkin on your lap immediately on sitting. On a formal occasion, wait for the hostess to remove her napkin and unfold it in her lap before doing so yourself. When food is served at a formal dinner, it is brought to each person at the table. The platter or bowl is presented to the left of the person. When the meal is casual, the host may dish the food onto the diners plate for them to pass around, or the diners will help themselves and pass it to others. When deciding which knife, fork or spoon to use, you should follow the outside-in rule. The utensils on the outside should be used first and work your way in. If the table is of only two or four people, you should wait for all people to be served before you start eating. At a formal or business meal, you should wait till all have been served or when the host asks you to start the meal. Pass the food to the right. Heavy or awkward dishes are placed on the table with each pass. When you pause eating to sip your beverage or talk to someone, rest the knife and fork by placing them on the plate near the center, slightly angled in an inverted V and the tips of the knife and fork should point towards each other. At formal affairs, the staff removes the plates. On informal occasions, the hostess clears the plates with the help of some guests.